The Seattle Times recently did a multi-part series on the issue of homelessness in the area. One of the things that came to light in this series was that the fastest growing demographic entering the homeless life is that of parents with children. In addition to the obvious issues — lack of a roof and safety on the streets, having to care for multiple people, etc. — there are further downsides presented by the way that the homeless aid is structured. But homeless families face unique challenges. They’re often invisible to social-service agencies because they prefer to double up on a friend’s couch than to sleep on the street. Shelters are often already full, space taken by those on the long wait list for public housing and subsidized Section 8 housing. Do a little Googling around, and you will find that this is true in many other places in the U.S. For instance, Florida and Pennsylvania are the two states that come up on top in search results. It’s an unusual situation. Services are not optimized for family assistance. Sometimes the families still have vehicles or belongings they have managed to preserve. Addiction issues are nowhere near as prevalent. The list goes on. 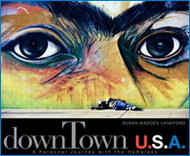 As with the other homeless across the U.S., homeless families are in danger of simply being statistics to most people. This is why it is important to put faces on these dry facts, and allow the actual people in this state share their own narratives. Like with any social ill, it is important that we never forget the human faces and stories behind the facts and the figures. 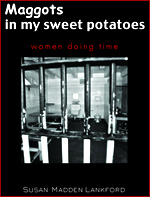 This is why we publish works like downtTown USA: A Personal Journey with The Homeless and Maggots in my Sweet Potatoes: Women Doing Time. It is also why we were thrilled to see a lot of video material included in The Seattle Times series. Here are two clips, below. The first is about Cherie Moore and her 17-year-old son, Cody Barnes, who have been calling their Ford Ranger home. Then there is Kim Ahern and her nine-year-old son Jack. After losing their home, they lived at Nickelsville, the only tent city in Washington’s King County that allows children to stay for more than the short term. So, what are your thoughts on this disturbing trend? Do you know any families that have lost their homes? Do you have a story to share yourself, perhaps? We would love to hear what you are thinking, please leave a comment! Image by mcaretaker, used under its Creative Commons license. Despite the obvious fact that there are WAY TOO many families struggling with homelessness, it is incorrect to state that “services are not optimized for family assistance.” At least not in Seattle. Take Solid Ground, the agency I work for, for example (which was referenced in the Times series a few times). Last year we provided more than 84,000 bednights of shelter and transitional housing. 461 families received shelter; 264 received transitional housing. 344 formerly homeless families moved into permanent housing. Among our services taylored to meet family needs are the JourneyHome portable case management/housing search model, shelter programs that accept families with older male children, age-appropriate groups for kids and youth at our Broadview shelter and transitional housing, Rapid Rehousing, etc., etc. In addition, we are currently building 52 units of transition-into-place affordable permanent housing for homeless families on the site of a surplussed Naval base, one of the largest such peace-time conversions in the country. Don’t get me wrong, we still have a tremendous crisis on our hands here. There are only about 200 units of emergency shelter for families in king County. Our Family Shelter program TURNS AWAY 700-800 calls EACH MONTH because there is no room at the inn. Other shelters report similar trends. My personal feeling is that the orientation of our regional 10-Year Plan to End Homelessness, which was developed in better economic times, bears a lot of responsibility for the shape of our current problems. It’s stress on permanent housing has left emergency services somewhat in the lurch. But there is a lot more going on here than the Times series gave credit for. Lornet and team did a good job raising up some harrowing stories. But their portrayl of the response system did not do advocates and service providers justice and so created a distortion of a different kind. Hello Mike, thanks for joining the conversation! I love the insight you’re bringing to the table here, and agree that it might not be the case that programs are not optimized for families in your area. This is not necessarily true elsewhere, particularly in areas that do not have a regional plan such as yours in place. I’d love to hear more from your side of things, would you be kind enough to expand on your comment with some links so that I and other readers can explore your side of the issue further? I would greatly appreciate it! I hate to see children live through days of endless boredom. The child catching the bugs, sampling the piece of wood in his mouth, talking about his imagination summed it all up – children NEVER belong on the streets, without safety and security, good reading materials, access to music, in addition to the ability to explore nature on the outside.